Disciplined, innovative and super confident, China is making lightning strides across the board, while America seems content to borrow its way out of an economic quagmire of its own making. 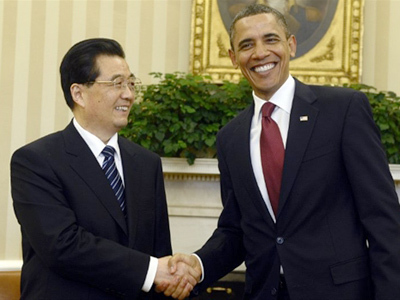 The difference between “China then” and “China now” was crystal clear on Tuesday, as Washington shined up the champagne glasses for Chinese President Hu Jintao, who will meet with US President Barack Obama amid an atmosphere of pomp and pageantry. Indeed, if haute cuisine is any indication of a visiting leader’s perceived importance, Hu ranks pretty high in US eyes. Washington is indulging the Chinese leader with a lavish state banquet, a gastronomical honor that contrasts sharply with his last trip to the White House, in 2006, when he was served only lunch by former US President George W. Bush. And the Chinese president got the red-carpet treatment upon landing on Tuesday afternoon at Andrews Air Force Base, where he was personally welcomed by Vice President Joe Biden, a military color guard, and a 21-gun salute. Yes, times have changed, and most of all, it seems, for China. The quasi-communist economy is white hot, the Chinese middle class can’t spend its disposable income fast enough, while even the Chinese military managed to humble America’s defense chief on a recent visit. 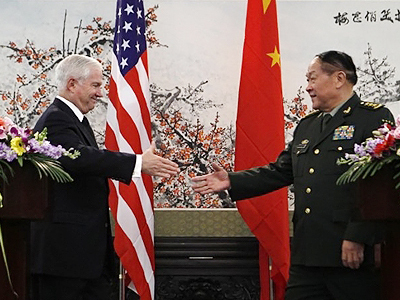 On January 10, US Secretary of Defense Robert Gates was in China, where he met with his Chinese counterpart, Liang Guanglie, as well as Hu. The main purpose of the visit was regional security following North Korea’s bombardment of a South Korean island in November. China did not pass up the opportunity to demonstrate its military prowess. Gates’ visit was overshadowed by an uncharacteristic display of muscle flexing on the part of the Chinese, who chose the moment to give the previously rumored J-20 stealth fighter jet its maiden flight. The US Defense Secretary tried to play down the surprise performance of the radar-evading fighter, saying Hu assured him the test flight was not timed to coincide with his visit. "I asked Hu about it directly, and he said that the test had absolutely nothing to do with my visit and had been a pre-planned test," Gates told reporters. The explanation, however, must have done little to comfort Gates, especially considering that he told a group of reporters aboard the plane to China that, although Washington was aware of China’s stealth fighter program, it was still many years away from fruition. According to Stars and Stripes, the US military magazine, some military analysts now fear that China may close the gap on stealth technology, thus threatening America’s air superiority. Now, in addition to the fledgling development of a stealth fighter, the Chinese military just added a newly refurbished Ukrainian aircraft carrier to its growing fleet. According to Kanwa Asian Defense magazine, China bought the used carrier in 1998 and towed it to the northeastern port of Dalian for a complete overhaul. The refitting included new housing compartments, engines, navigational systems and power generating equipment. Kanwa, as quoted by AP, said the restoration would make the ship fully operational and allow China to design and build its own aircraft carriers in the future. Perfecting such technical expertise will take many years, but as the surprise unveiling of the stealth fighter proved, China has the human resources for developing technologies very fast, and not just when it comes to exporting products for Western markets. Much of China's renewed interest in military spending can be traced back to last year, when Washington announced it would supply Taiwan, which China regards as its sovereign territory, with $6.7 billion worth of advanced military hardware, including two Osprey mine-hunting ships, 60 Black Hawk helicopters and surface-to-air missiles. The deal drew a harsh response from China, of course, which resulted in a severe deterioration in bilateral relations between Beijing and Washington. Is it really any surprise that China is simply responding to what it views as excessive US meddling in its immediate neighborhood? Perhaps the greatest mystery about China’s mind-blowing economic progress is how a one-time isolated, communist regime has adapted to a global economy with such insightfulness. 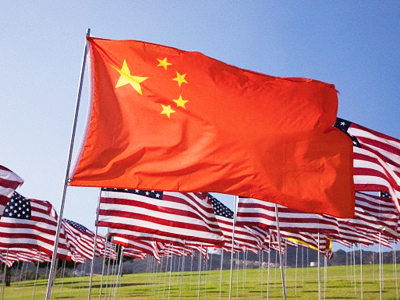 Taking advantage of America’s massive expenditures on Chinese-made goods, China reinvested much of those dollars right back into the US economy. The strategy was more than just good business; it has proven to be savvy politics as well, since today the fate of the American and Chinese economies are now dependent upon each other to a high degree. Should China decide to sell off its billions of dollars in US Treasury notes, for example, it would crash the US economy, thus killing China’s biggest market for manufactured Chinese products. Not good. In light of this tightly interwoven relationship, it was no surprise that Obama and Hu met Tuesday night in a private dinner behind closed doors at the White House. Now, Obama will be able to say that he challenged Hu on various sensitive subjects of importance to his liberal constituency, including human rights, freedom of the web, and loosening China’s control over its currency. Obama plans to host a meeting on Wednesday afternoon for the Chinese president and US and Chinese business leaders in an effort to promote increased US exports to China, as well as increased Chinese investment in the United States. Will China lecture the US? Although US corporations have recovered nicely from the “Great Recession” (The Dow Jones Industrial Average is on the verge of smashing through the 12,000 mark), US workers continue to struggle with unemployment rates still just below 10 percent of the population. “The unemployment rate is higher in [America] than in Britain or Russia and much higher than in Germany or Japan,”according to a Gallup study of worldwide job markets. 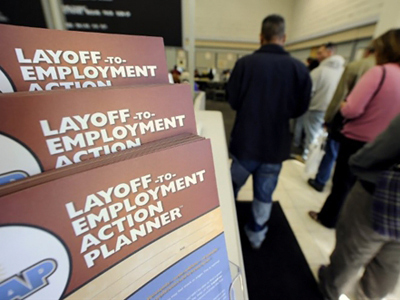 “The American jobless rate is also higher than China’s,” the study said, as quoted by The New York Times. Meanwhile, US workers receive the least amount of vacation time in the industrial world – even less than “authoritarian” China. And there is not even a rule in the books that corporations have to provide their workers with a vacation. According to a report by the Center for American Progress, "the US is the only country…without a national paid parental-leave benefit. The average is over 12 weeks of paid leave… and over 20 weeks in Europe." Political analysts are anticipating what will be said by the two leaders during a scheduled news conference on Wednesday. 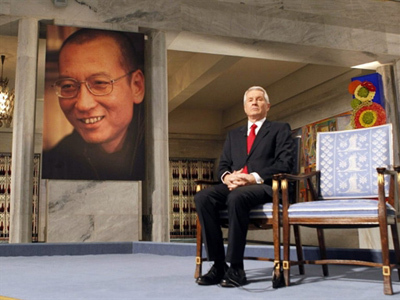 Each leader will respond to four questions, two from American journalists and two from Chinese reporters. One question that would be interesting to hear Obama respond to is why Chinese Wal-Mart workers are legally required to have unions represent them, but US Wal-Mart workers at home have no union representation whatsoever. Indeed, Wal-Mart goes out of its way to shut down any efforts to unionize on behalf of its silenced workforce. China may wish to suggest – since, after all, it has so much invested in the US economy – that US workers enjoy some sort of democratic procedure to guarantee their personal rights. The debate on human rights, of course, cuts both ways.